Patients come to the Lancaster Cancer Center for several reasons … For initial diagnosis, for a second opinion, for treatment, and for follow up care. However, we believe most come to us because our history of caring continues. Our entire staff dedicates themselves to providing our patients with not only the most favorable in hematology and oncology care; but also with a calming and friendly sense that allows patients to feel as though they are part of our family. We embrace the challenges ahead of you and we understand that cancer does not just affect one part of your body. It affects all of you and everything in your life. At the Lancaster Cancer we strive to provide you with a personalized treatment plan which includes a powerful combination of advanced conventional treatments combined with supportive complementary medicine therapies. By treating the whole-person we have found our warriors are better prepared to fight and able to enjoy a good quality of life. At the Lancaster Cancer Center our comprehensive hematology and oncology programs provide the full range of diagnosis, treatment and follow-up care. 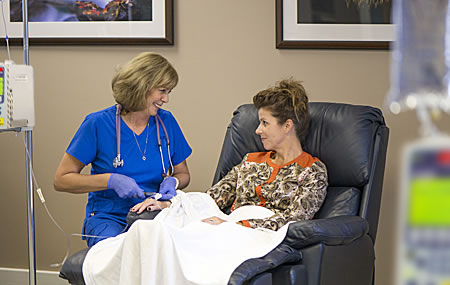 Our expert team is the core of the Lancaster Cancer Center and qualifies us to care for patients suffering from both common and rare blood diseases, as well as providing progressive and compassionate treatment for cancer and related tumors.